After finding out about this interesting dinosaur, I couldn't help but try my hand at drawing it. Dracorex Hogwartsia is definitely a dinosaur that looks like a dragon! 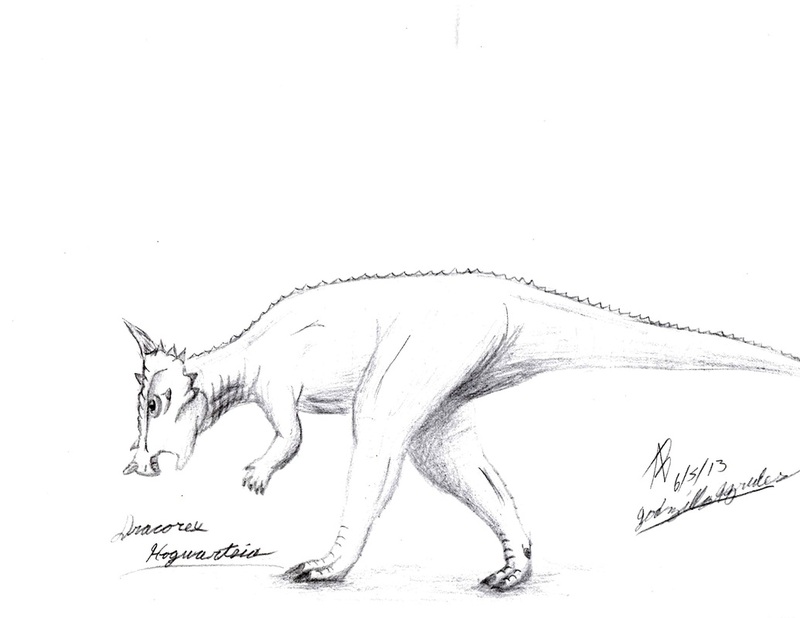 As for this sketch being one of my first attempts at drawing the herbivorous dinosaurs, I am amazed that it came out so well.